The North American Free Trade Agreement was intended to erase barriers to trade and investment between Canada, Mexico and the United States, allowing goods to circulate freely. 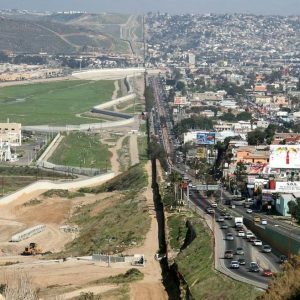 However, 24 years after it came into force, the economics of the deal have had a profound effect on land use along the U.S.-Mexico border, according to a study by four Arizona State University professors published this month. Between 1992 and 2011 — the period covered in the study — regional land and water use partially re-oriented around the needs of American cities, leading to crop-to-urban conversions and water savings in the U.S., while agricultural and urban expansion in Mexico resulted in aquifer exploitation and reduced river flows. Mexico is not really in a position to be taking on the burden of outsourcing fresh fruit and vegetable production, Bohn said. While it’s very profitable, it’s also groundwater-intensive. Senior sustainability scientist Enrique Vivoni, a professor in the School of Earth and Space Exploration, also worked on the study. Senior sustainability scientists Giuseppe Mascaro, assistant professor in the School of Sustainable Engineering and the Built Environment, and Dave White, director of the Decision Center for a Desert City, also contributed to the study, which was published in Environmental Research Letters this month.